Since artist John Romita Jnr pumped a few rounds into the exploits of Frank Castle, I haven't really picked up that many Punisher issues. 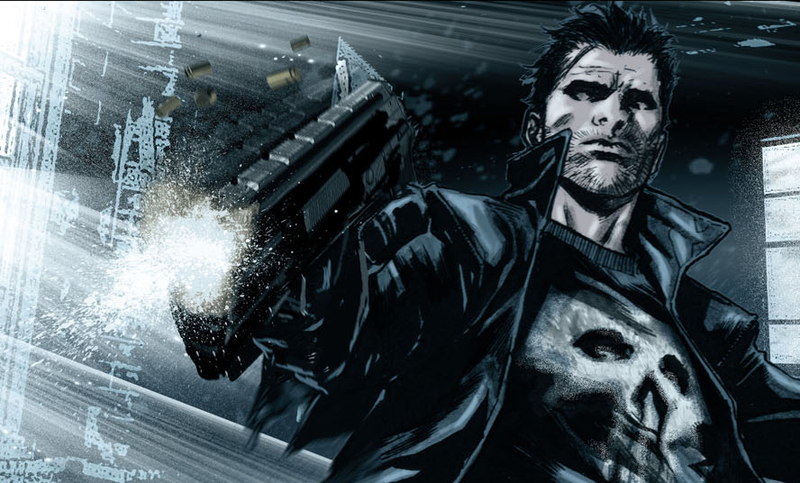 However the internet's artistic chamber is already getting a few bullets locked and loaded into it regarding Marvel's all new Punisher #1 and as a result I'm pretty sure my wallet is going to fall victim to the crime. 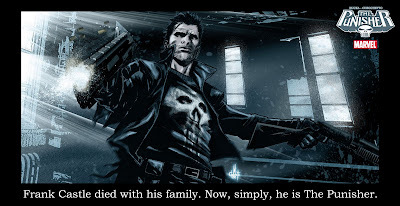 EVIDENCE 1: From writer Greg Rucka's own Twitter feed; "I got some Marco Checchetto Punisher art, and I am now sharing it because I love you, even if Frank doesn’t." Wowza (Click above for a monster sized version)! 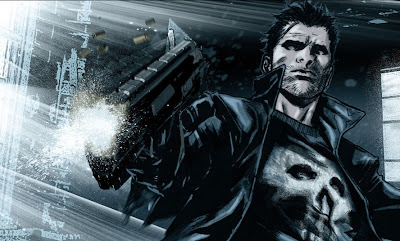 I often wonder if Punisher comics need a colourist, or they would be better rendered in black and white, but then you see how much atmosphere they bring to the table here and well suddenly your writing letters to Marvel saying whatever they're getting paid it's not enough. That sound you hear folks is the Jury throwing their hands up in the air. Complete conviction, even without any words! Make sure you let your LCS know you're placing Punisher #1 on your most wanted list - not to would be worthy of a life sentence! Well the story of this comic is very nice...it really catches my interest as a comic reader. 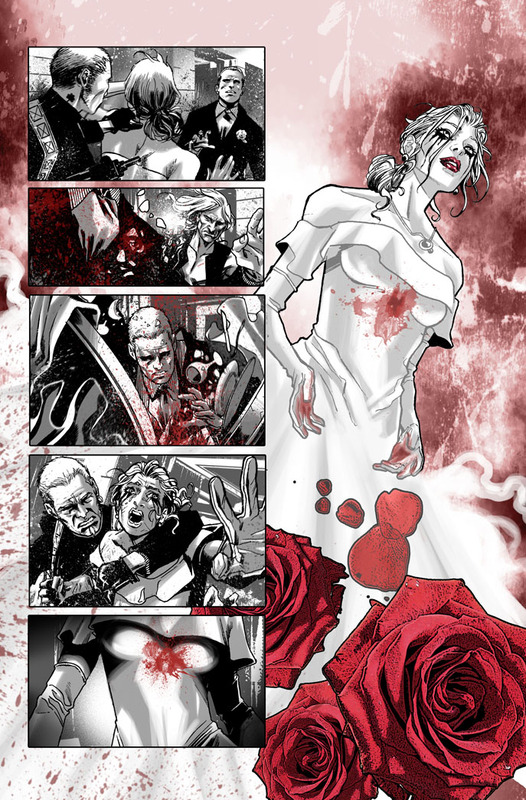 And the art sure helps ILF - even still though like you say, Punisher's story at it's core is a pretty sweet one!